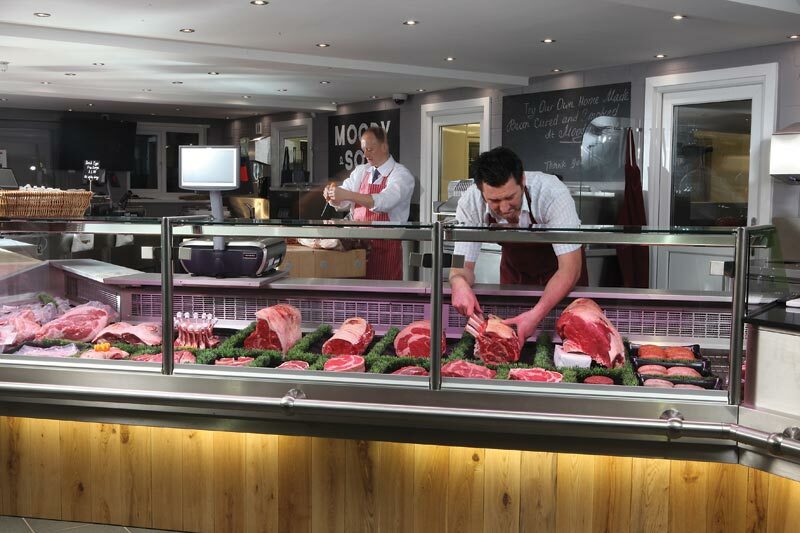 Our Butchery takes centre stage in the shop and is all up front and happening in front of your eyes. 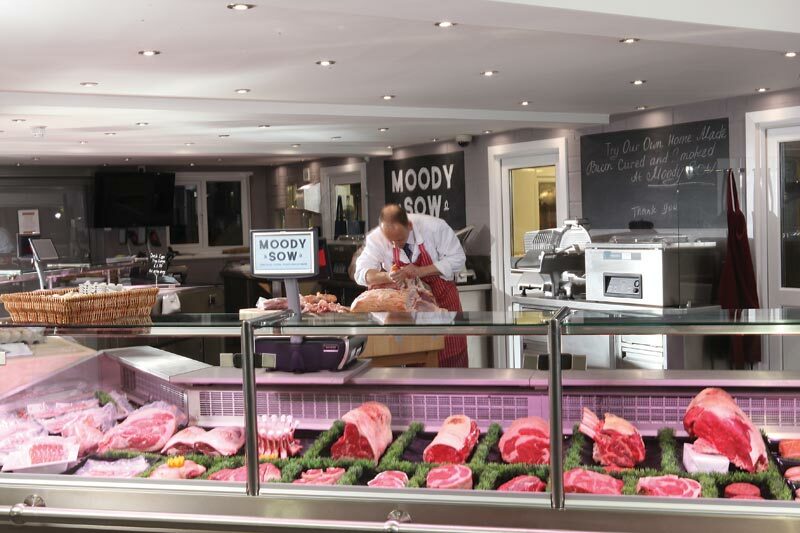 The meat that we sell is either reared in our woodland just a short walk from our shop, or is supplied from other local farms that we consider the best in quality and taste with the emphasis on as little food miles as possible. 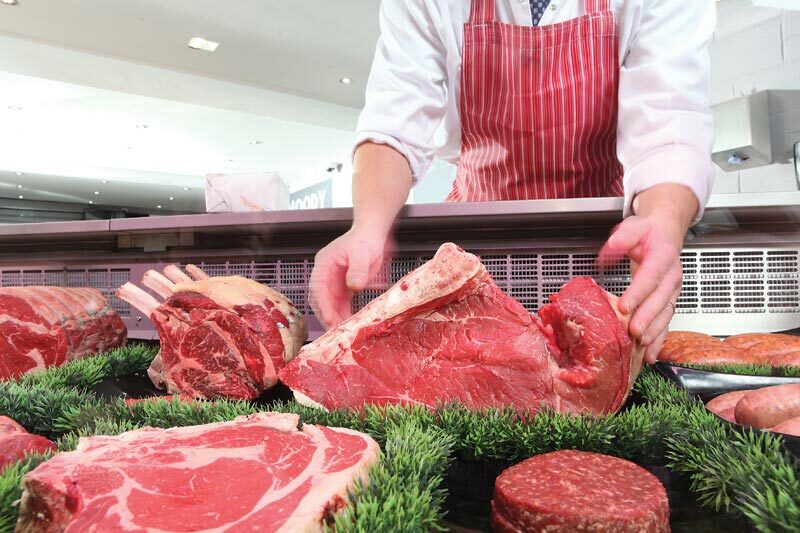 Complete tractability is ensured and our customers can have total confidence in knowing where our meat comes from. 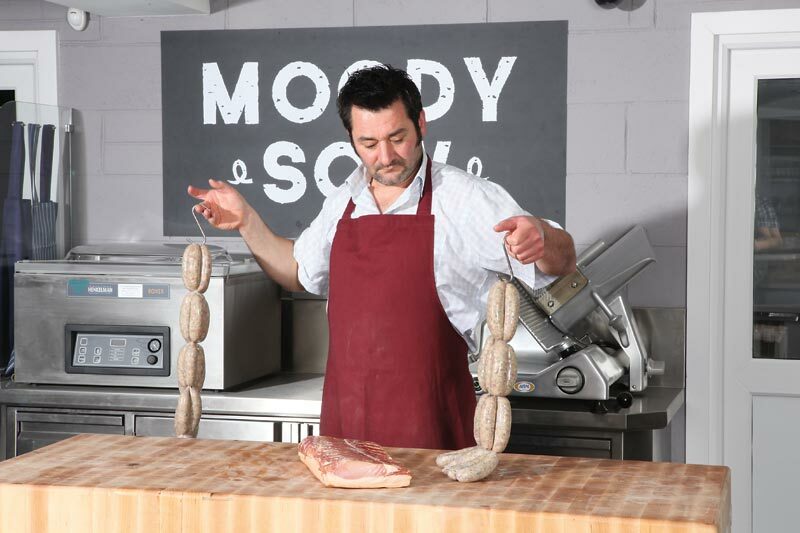 Our meat is of the highest quality, hung in the traditional way to give extra tenderness and flavour. We hang our beef on the bone for at least 21 days. 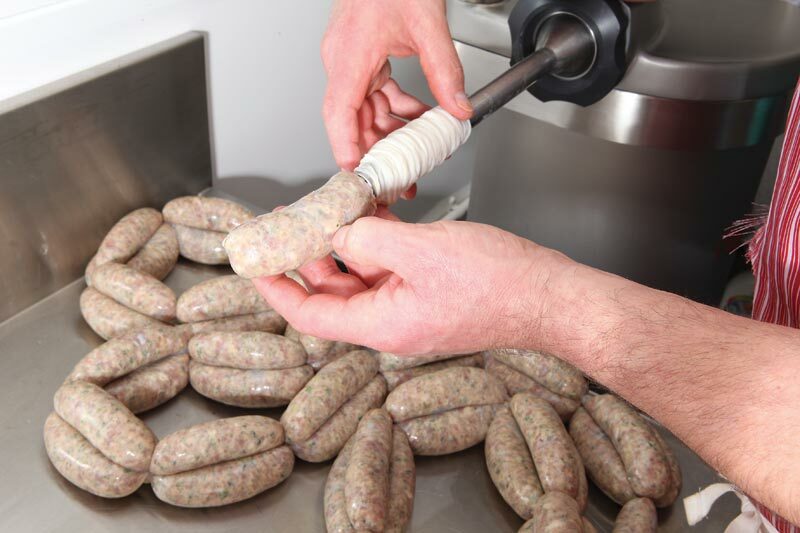 With our own pedigree pigs that range free in the woodland, we produce our own pork for the butchery which can be tasted in some of our restaurant meals, not forgetting products in the farm shop that include fresh sausages and our very own smoked and cured bacon. 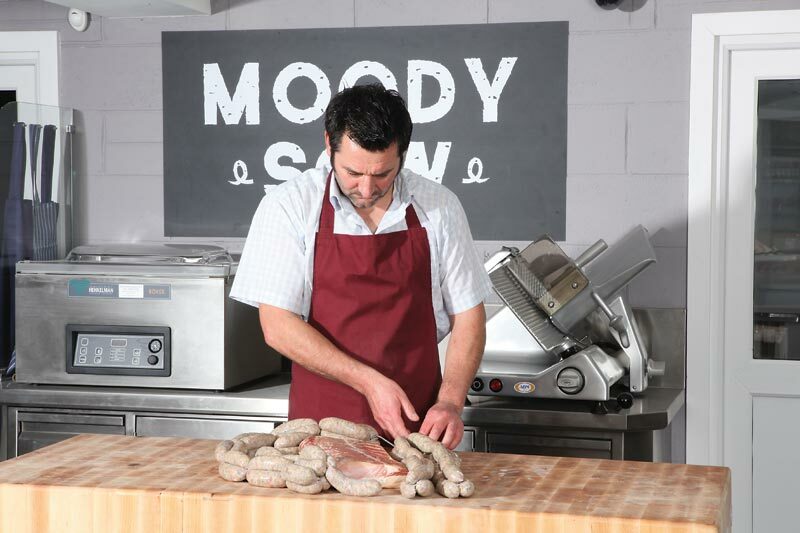 Shop manager and Rhys’ brother-in-law Anthony along with Chris, our master butcher are on hand to offer friendly advice, and will prepare and cut meat to your requirements. 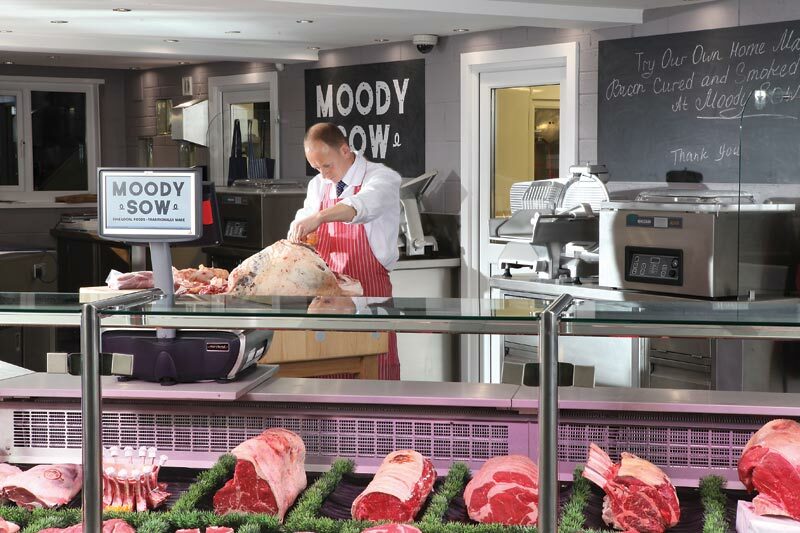 Quality Meat at great prices and great advice too. Can’t recommend enough!